We are coming home this week and the kids are actually asking to go to school. This makes me very very happy. Mostly because at the end of summer, school was the last thing they wanted to do. Turns out Mme. Maman is much to hard on them and they miss their friends. Bahah. 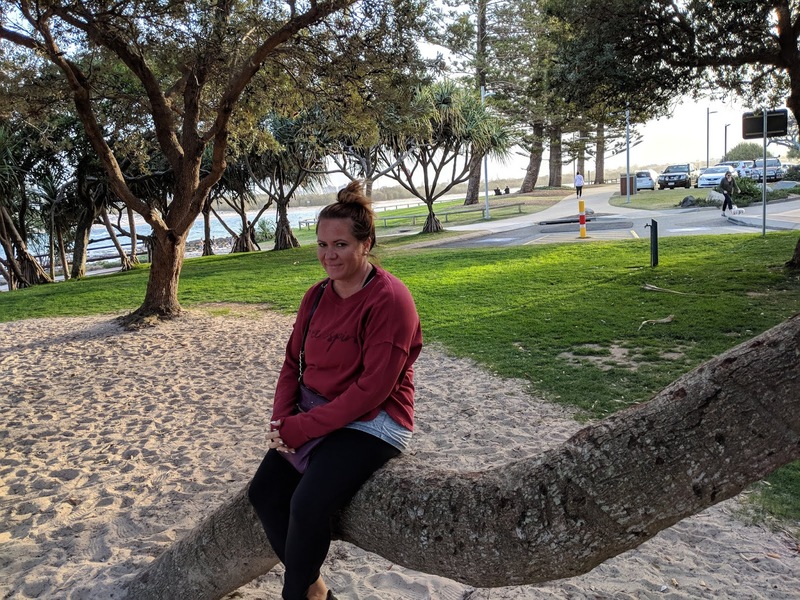 So now we find ourselves on the last leg of trip back to where we started in Brisbane, but we decided to stay more in a coastal area up on the Sunshine Coast. We picked a random spot (Rumba Beach Resort) and arrived in the afternoon with time to explore. Except we were tired and needing a rest- I think all the travel is catching up. Also, I had found the most perfect dress at Lorna Jane at the airport in Brisbane and then forgot it in the Uber. So I was mostly sad. We explored the area a bit, got a bite to eat then cuddled up to watch a movie (LEGO Ninjago) before bed. Today was our last full day of just exploring which I think typically we would have spent at the beach or pool, but the wind was actually making it kinda chilly and to be honest, we were kinda beached out, so we decided souvenir shopping would be more fun. Okay, I may have influenced that one. After a quick google, I figured we could go explore Mooloolaba which had come recommended by some friends and also hit up a shopping plaza. We hired an Uber- another interesting one- she actually has friends in Melfort and has been trying to move to Canada. Dan may or may not have had coffee with her husband (who is also a software computer type guy) while we were at the mall. ANYWAY, we went to my happy place.... the kids got some novels, some clothes and I found a Lorna Jane and my dress and then some. All was good in the world. The mall is actually located on this real cool riverwalk so we went paddle boating on it....fish follow you everywhere and you get little containers of bread to feed them..they were jumping out of the water and fighting and come right up to you...I'm talking 100s of them. It was so neat. This was the highlight of the kids' day. Willis has come down with an ear infection, so between keeping him drugged and ear-dropped, we have been keeping a close eye on him and he was starting to look peeked by the afternoon, so we headed back to the hotel for some down time followed by a swim. But I think we lasted a whole minute in the pool- the 'heated' pool was cold and the jacuzzi was full of dust and white floaties from the work they're doing on the other pool. Actually, this resort is not really awesome. The reception closes from 6pm- 7am so you can't ask any questions and the whole area is kinda bizarre. Everything stays open 'late" which is like 8:00. We walked down the main street after supper at 6 and it was dark, closed up and a zombie world. For the life of him, Dan can not figure out how this economy works. And if you know my Dan, that is a puzzle he will likely want to figure out. Anyway, tonight was really slow, we watched a couple episodes of Bindi's Boot Camp in prep for our visit to the Irwin Family's zoo tomorrow and then a documentary on the Great Barrier Reef. It's cool to see how interested the kids are in something when they've actually seen it in real life. Tomorrow is our last full day in Australia- I'm looking forward to this zoo but also to get home. I miss my friends, my family and my animals. That zoo is going to be so cool. I can't wait to hear about it! I love that your kids are actually asking to go back to school - priceless! Hope you got that dress - LOVE! The world is a really small place. The chances to meeting someone across the world that in a year you could run into again on the street is just crazy. I am glad you were about to find your dress again, it looks perfect.